This project begins from the humbling hypothesis that many of the resistance struggles I have participated in have embarked down misguided paths. We seem to be trapped in a recurring pattern whereby we experience fleeting periods of charged resistance followed shortly thereafter by a return to business as usual. This pattern needs to broken and this involves examining the praxis that informs our struggle. My experiences in activism/organizing have been instrumental in my intellectual developments and I am deeply appreciative of the knowledge, perspective, and memories I have formed through them. Therefore, my current assessment of their efficacy is accompanied by a degree of trepidation and discomfort. 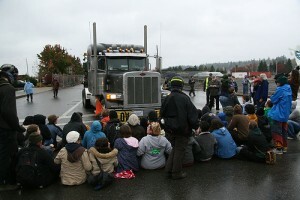 A non-tactical blockade is deployed by a collection of anti-war protesters. 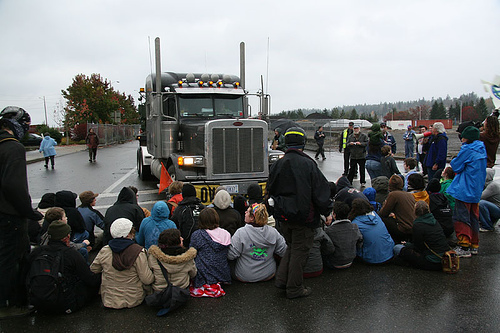 These direct action campaigns were aimed at ceasing the use of public ports in the Northwest as venues from which weapons and artillery would be sent to destinations in Iraq. My participation in the marches and demonstrations associated with the #blacklivesmatter protests is the particular catalyst for the project. In these protests, we witnessed a nonviolent assault on aspects of the city’s transportation infrastructure. These spirited attacks captured the imagination of the public in a profound way. They prompted a momentary pause in the functioning of everyday life. And like many moments I have experienced in my time as part of “the movement”, these moments proved ephemeral. By and large, activists and organizers returned to their familiar practices without much critical consideration about the effectiveness of our approaches or engagement. This outcome mirrored the pattern I have witnessed in countless instances of heightened protest activity. I consider my modest project as a contribution aimed at breaking this pattern. I recognize that my project is a bit unconventional, a bit dissimilar from my classmates’. Ultimately, I wanted to use this project as a vehicle through which to explore questions associated with anti-systemic resistance. In order to accomplish this I had to modify the prompt. Rather than explore a particular infrastructure, I wanted to interrogate the implications of waging an attack on infrastructure at the service of an emancipatory political vision. My conception of attack is broad and open, but should be considered purposeful and accompanied by an ethical commitment to eradicate injustices wherever they exist. I am fundamentally committed to the understanding that we can build a world immeasurably better than the one we are currently mired in. This process will require considerable acts of negation and non-compliance. I consider it beneficial to theorize about this process collaboratively and honestly. I apologize if many of the ideas contained within appear contradictory, underdeveloped, or incomplete. I recognize some of these problems and am trying to find ways to navigate them as such. This type of inquiry and composition was a bit unfamiliar. I treated this project as an experimental staging area where I could deliberate and articulate my perspectives with greater intentionality. I see this process as on going and continually evolving and therefore welcome feedback or criticism. #Blacklivesmatter protesters temporarily block traffic on the Westside Highway. This chant was heard echoing throughout New York as marchers attached to the #blacklivesmatter protests traversed the city in late 2014. The origins of these demonstrations are two-fold. One, the profound frustration and indignation manifested due to persistent and even epidemic levels of racialized police and vigilante violence towards black and brown bodies. Secondly, an inspiring and sustained round of militant protests in the St. Louis suburb of Ferguson provided a galvanizing charge for resisting this endemic racism in the context of a securitized state. In this environment, New Yorkers explored a new horizon for confronting and combatting injustices, one in which the powerful idea of shutdown would become part of the protest repertoire. The shutdown served as both a rallying cry and a tactical imperative for the protesters. Through an array of methods and formations, marchers disgusted by the successive decisions by grand juries to not indict the officers responsible for the deaths of Mike Brown in Ferguson and Eric Garner in Staten Island, successfully stalled and halted normal activity in New York. This involved identifying and occupying vehicle transportation infrastructure in the form of highways, bridges, and other thoroughfares. Protesters were effectively saying that when justice does not prevail, “business as usual” is impermissible. The shutdown contained a certain logic for marchers and even many observers, as there was a recognition that eradicating racialized violence will require a departure from conventional political practice. Employing the tactic of the shutdown also conveyed a perception that an array of social processes permit the preservation of the status quo. Through the shutdown, protesters made clear their demand was not commensurate with a simple focus on police conduct or accountability, it demonstrated a determination that the scope and scale of injustices we face are much larger and multifaceted than regularly assumed. As protest energy and activity has receded in the last couple months, I would like to begin a process of exploring how the shutdown that was introduced and put into practice late last year can be enhanced or expanded upon when insurgency awakens once more. In essence, I would like to explore how we can move this idea of shutdown beyond the realm of symbolism, rhetoric, or ephemerality. The protests provided illustrative moments of possibility, its time to strategize how we can stoke the embers they left burning into a more generalized insurrectionary fire capable of eclipsing a status quo that permits and facilitates the degradation of black and brown bodies. Surveying the networked infrastructure that facilitates the functioning of urban life in New York provides one window into which we can peer. As Kate Ashcer identifies in her extensive survey of New York City’s infrastructural landscape, “we might be living in the densest agglomeration of infrastructure in the world.” The ubiquity of this assemblage, the length to which it reaches, and the dependence city life has on its continued function present unique opportunities for the would-be rebel. In addition, according to Stephen Graham and Simon Marvin, even though infrastructure is ideologically perceived or introduced as “hidden, banal, even naturalized…they unevenly bind spaces together across cities, regions, nations, and international boundaries whilst helping also to define the material and social dynamics, and divisions, within and between urban spaces.” As mentioned previously, the #blacklivesmatter protesters, in targeting infrastructural choke points, displayed a sophistication about these urban processes. Infrastructure served as a site of contestation where inequalities are facilitated and could be confronted. Obstructing or impeding the function of city activity created an autonomous space where new forms of social relations could emerge, new possibilities became crystallized, and counterpower was palpable. The protests identified with the proclamation #blacklivesmatter spoke in resonant and bold visions, raising pressing matters of racism, resources, and militarized urban landscapes among countless others. As evidenced from its momentary ebb and inability to compel significant changes in the direction towards the direction of the vision it articulated, it also possessed limitations. Out of deference and respect to the substance of these visions, I find it important to ponder how we could initiate something on a grander scale. The exploration of such matters could prove meaningful for a movement that raised fundamental questions about reform, revolution, and transformation. 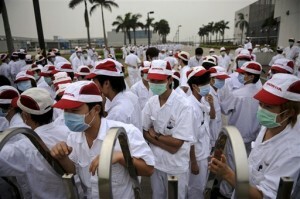 Striking Autoworkers in China. Disgruntled workers have increasingly turned to militant actions, including confrontations with security forces and property destruction. The quote above is taken from a pamphlet published and distributed by the Industrial Workers of the World, a militant labor union that formed in the first decade of the twentieth century. The pamphlet was entitled Sabotage: The Conscious Withdrawal of Workers Industrial Efficiency. While Flynn’s analysis was produced for an era that in many respects is qualitatively different from the present, the withdrawal of efficiency was a concrete outcome of the shutdowns initiated by protesters late last year. Accordingly, it can be argued that #blacklivesmatter protesters partook in temporary acts of sabotage on New York’s transportation infrastructure. With that in mind, I find it important to consider how traditional or more inventive acts of sabotage can be implemented into contemporary political activity so as to make our efforts stronger and more impactful. Advocating acts of sabotage is a task fraught with considerable challenges and consequences. As the parameters of acceptable political recourse have become narrower in the US, positing a tactical endeavor that involves purposeful acts of sustained obstruction or even destruction is regularly dismissed as being imprudent or dangerously provocative. In spite of mainstream discomfort with such activities, sabotage has been a regular weapon in the militant’s arsenal, both historically and even contemporarily. Resurrecting the fighting spirit of creative attacks initiated by the Wobblies and embracing the utility found in contemporary uses of sabotage can provide the basis for a more promising horizon. The pictures captured in my video indicate ways modern workers have successfully implemented stoppages, slowdowns, and strikes in their struggles. Depending on where the worker’s are positioned, they can exact considerable damage upon those in positions of power. For instance, striking port workers caused millions of dollars in profit to be lost as their unwillingness to unload shipping containers resulted in massive ships having to anchor outside West Coast Ports. Transit workers are strategically positioned as well, as they are responsible for transporting more people than any other mode of transportation in the city. Stoppages or slowdowns on public transportation carry costly consequences. 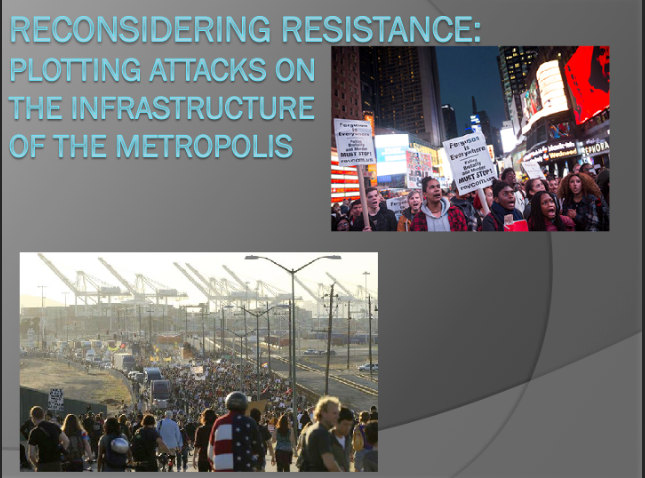 For example, resistance struggles in Argentina, Oakland, and Montgomery have engineered such attacks. In Keller Easterling’s Enduring Innocence: Global Architecture and its Political Masquerades she stresses the significance of subtraction as an element of inquiry for a critical architectural lens. Easterling contends that “building is often subtraction, and subtraction is usually another construction.” We witness here a clear articulation of how destructive processes are often the precursors to creativity. Harnessing this capacity towards an emancipatory end is therefore something that merits investigation. Fortunately, Easterling introduces us to what she calls the “pirates of subtraction”. These actors can play a pivotal role in mounting a countersubtraction against the forces of Empire. Such an instance, Easterling notes, can be found by collectivities like the Earth Liberation Front, who mounted devastating attacks targeting affluent construction developments with the political purpose of defending habitats and species that are disappearing in the process. The spectacular voids left by an arson prompt the observer to ponder the voids created by the housing construction project, notably deforestation. Superior Lumber’s headquarters are targeted by an ELF cell. With that said, acts of sabotage should not be treated casually or negligently. The consequences can be severe. Taking precautions to avoid unnecessary suffering is an ethical imperative that must be taken seriously. Radical social theorists Michael Hardt and Antonio Negri argue, “We need to create weapons that are not merely destructive but are themselves forms of constituent power, weapons capable of constructing democracy and defeating the armies of Empire.” For Hardt and Negri this involves avoiding the trappings of the urban guerilla. Our encounters must reflect neither symmetry nor asymmetry with the daunting martial power of modern states. 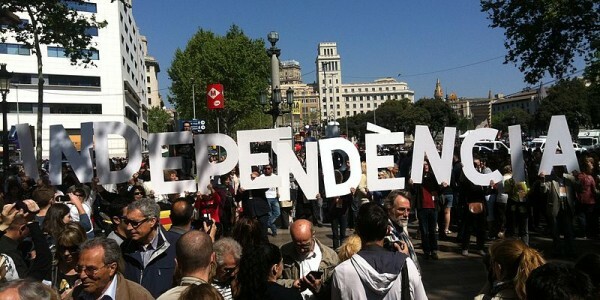 According to the Invisible Committee “the militarization of civil war is the defeat of the insurrection.” We simply cannot match the power of the state and its security forces and must work in ways it has difficulty recognizing. These ways are diffuse, opaque, and diversionary. Our acts of sabotage must remain mindful of these matters. Stephen Graham argues in his book Disrupted Cities: When Infrastructure Fails that “Infrastructure disruptions bring fleeting visibility to the complex practices and technologies, stretched across geographic space, that continually bring the processes of urban life into being.” Therefore, strikes on infrastructure have the exceptional capacity to reveal facets of human experience that remain in a seemingly subterranean state. Sabotage can be a generative, illuminating practice. Even in its moments of destruction, obstruction, or erasure, if done skillfully and thoughtfully it can be an essential ingredient of an emancipatory project. 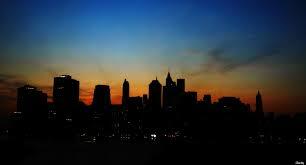 Manhattan succumbs to darkness as a series of minor problems prevent the flow of electricity. A recent study published by the Center for an Urban Future affirms the veracity of the Invisible Committee’s observation. The study sounds an alarm about the New York’s aging and decaying gas lines, water pipes, roadways, and subway systems. The study concludes that massive compensatory action is need to refurbish and replace this problematic infrastructure, otherwise harmful failures or malfunctions can be expected to get worse. Many urban geographers indicate that this development is exacerbated by the move towards privatization on the part of utilities across the globe. A negative repercussion of privatization is found in the reluctance on the part of firms to invest in repairing theses systems because such expenditures would function as an obstacle to profit maximization. In short, systems and services that are prone to increasing failure are tolerable because of the myopia imparted by maximizing profit. This means dated infrastructural technology is being tasked with having to facilitate services well past their expiration dates. Urban landscapes are becoming more integrated, layered, and complicated. This places considerable stresses on a city’s technical architecture. Identifying the precarious nature of infrastructure in a city, Political Science professor Timothy Luke refers to it’s unimpeded or unobstructed function as an “accidental normality”. For Luke, the networked nature of cities create a chain of dependencies that makes ensuring the preservation of order or normality the equivalent of an accident, a phenomenon that requires something like luck. In Luke’s theoretical and analytical exploration of the 2003 blackout on the Eastern Seaboard, he notes that the minor hiccup associated with heavily taxed power lines resting on under-pruned surrounding trees triggered a cascade of failures and missteps that caused the blackout. In response to these events, politicians and managers explained the failure as “an unfortunate coincidence, an uncanny happenstance, or a pure fluke.” Luke contends that such frames are a ruse and that instances of power failures bear striking resemblance to “acts of terrorism, cyberwarfare strikes, or planned instances of sabotage.” These failures, in their increasingly regularity, signal that infrastructural normalcy is a façade meant to placate fears and assuage doubts about its inadequacy. Disruption, malfunctions, and even disaster may well be the new normal. This seems to be especially true as the impacts of climate change become more pronounced. Metropolitan managers are so keenly aware of the precariousness imbedded in metropolitan life that techniques of governance are being developed to handle this reality. Julian Reid and Brad Evans identify the discourse of resilience as a maneuver in executing neoliberal subject formation. In the context of an urban landscape that is wracked by increasing levels of volatility and uncertainty, docile, obedient subjects are necessary. Thus, these carefully constructed resilient subjects are encouraged to passively accept the premise that the current order will remain indefinitely. This forecloses the possibility of alternatives and individualizes the responsibility to cultivate the wherewithal and toughness necessary to survive in this new urban climate. 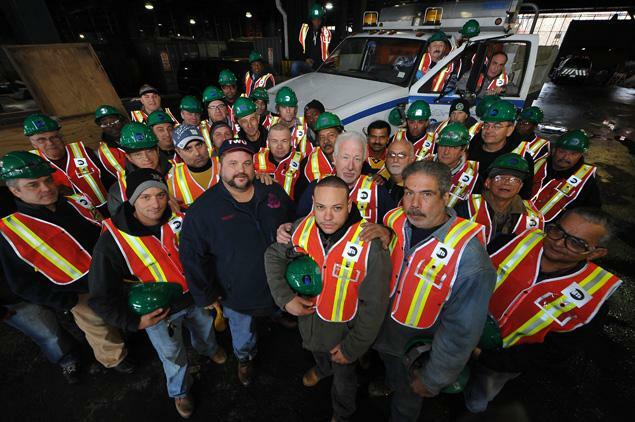 Transportation workers, amongst others, are essential in keeping the city functioning. Shifting direction, I would like to interrogate the centrality of people in the processes that facilitate the functioning of infrastructure. While it is routine to marvel at the ingenuity of inventors and planners who introduced the sophisticated networks that keep our trains running and our elevators climbing, the centrality of labor likely eclipses their importance. 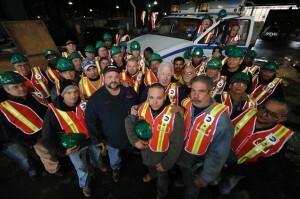 Kate Ascher notes that it is “a tribute to the thousands of municipal and private sector workers who, for generations, have toiled around the clock to maintain the way of life that New Yorkers have come to expect.” In short, without the maintenance crew, the trash collectors, and the office workers much of city life would cease. Contained within this fact is the realization that everyday people possess a tremendous power. Our willingness to toil is the fabric upon which the city maintains its order. As disillusionment heightens and disgust with inequality, violence, and precarity persists, power must continually find ways to ensure our compliance. The emergence of disruptive protests shows how perilous their grip on power remains. As mentioned previously, one of the masterstrokes of the #Blacklivesmatter protests was their capacity to illustrate the inventiveness and courage wielded by people acting in concert. In short, the presence of an empowered and dissatisfied mass is the most serious chink in the armor of the Empire. 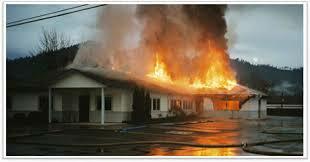 A rupture is an instance of breaking or bursting suddenly and completely. In the parlance of militants, a rupture refers to a moment where, if only momentarily, the seemingly impossible crystallizes before us. 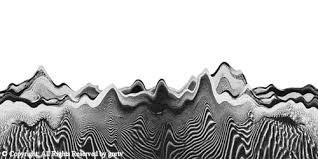 The Invisible Committee identifies it as a moment where “a suspension occurs in the organized stability of our dependencies.” Absent these dependencies, we begin to experience what autonomy can produce and what living can become. The thorough colonization exacted by Empire often makes imagining or recognizing these moments difficult. For this reason, fiction, particularly fiction intended for a younger audience, can often be a good source of finding these moments of rupture. Last year’s blockbuster The MockingJay, presents a striking instance of this. In this scene, a collection of individuals fighting against the tyranny of the Capitol, charge an electrical power dam, overwhelm the armed and firing security forces, and strategically place explosives at various points along the structure. The explosives destroy the dam and temporarily disable the flow of electricity into the Capitol, most notably, into the home of President Snow. Our first glimpse of the ensemble that would orchestrate this assault resembled a marching procession singing in unison as they approached the line of armed security personnel, a scene not dissimilar from ones encountered by protesters around world. While the scene described above provides an illustration of the power possessed in collective action, the scene that immediately precedes it proves telling for our investigation as well. This scene captures a security/intelligence officer working for the rebellion morosely confessing that the signal defense system he had developed while working in a similar capacity for the Capitol was impenetrable at the moment. He dejectedly quips, “I guess I did my job too well, at the time I was just interested in the science of it all.” As the scene closes, he insists rather unconvincingly that he will find a way to circumnavigate the system. The coupling of these scenes together provide an illuminating illustration of how seemingly omnipotent infrastructural systems possess weaknesses that can be readily identified and exploited by willing and daring insurgents. As alluded to earlier, they have vulnerabilities that can serve as the location from where a rupture can be opened. Ruptures are not solely confined to the young adult fiction genre though. Perhaps the most breathtaking instance of a rupture in recent memory was found in the celebratory explosions that fired from Tahrir Square in Egypth of 2011. As discouraging as the country’s turn in subsequent years have been, with military rule and mass imprisonment and torture of dissidents, that fleeting moment of triumph reminded the world that history has in fact returned and seemingly stable regimes are subject to change. Closer to home, the extended rebellion that began this summer in Ferguson conveyed many unsettling truths about racism and militarization of civilian communities, but the tenacity and duration of their struggle inspired the nation into action and forcefully affirmed that #blacklivesmatter. Their persistence and audacity laid the groundwork for the protests that touched 170 cities throughout the United State late last year. Ascher, Kate. The Works: Anatomy of a City. New York: Penguin, 2007. Critchley, Simon. Infinitely Demanding: Ethics of Commitment, Politics of Resistance. London: Verso, 2008. Easterling, Keller. Enduring Innocence: Global Architecture and its Political Masquerades. Cambridge, MA: The MIT Press, 2005. Flynn, Elizabeth Gurley. Sabotage: The Conscious Withdrawal of the Workers Industrial Efficiency. Cleveland, OH: IWW Publishing Bureau, 1916. Foucault, Michel. Discipline & Punish: The Birth of the Prison. New York: Vintage, 1979. Graham, Stephen, ed. Disrupted Cities: When Infrastructure Fails. New York: Routledge, 2010. Graham, Stephen and Marvin, Simon. Splintering Urbanism: Networked Infrastructure, Technological Mobilities, and the Urban Condition. New York: Routledge, 2001. The Invisible Committee. The Coming Insurrection. Los Angeles: Semiotext(e), 2009. 1082 Woodbine. Nomos of the Earth. New York: Pamphlet, 2014.